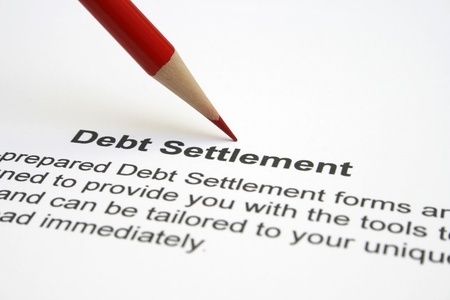 Here is a little information to help you decide between debt consolidation and debt settlement. If you have overwhelming debt and you have bills collectors harassing you to be paid off, you may either consolidate or settle your debt and rid yourself of this stressful burden faster. You may want to consider a debt consolidation program if you can make monthly payments at low interest rates. Debt consolidation companies offer low monthly payments which can be very low but the length of the repayment term can be up to 20 years. You’ll be paying a huge amount of interest over the life of the repayment period. It is important that you determine how long it’ll take you to get debt-free and what how much you will have paid if you enter into the repayment plan. If becoming debt-free takes too long through a debt consolidate, you may consider going for a debt settlement. If you are not thrilled with the monthly payments in a consolidation program, you may want to explore a debt settlement program. If you are in financial crisis like being laid off from your job or you’ve been left with high credit card debt, you may want to explore debt settlement. With debt settlement you don’t pay a monthly principal and interest payment on your bills. When you chose a debt settlement program, the Law Office of Christopher German will require you to deposit a certain sum of money in a trust account which will be used to settle your debts at a reduced rate. The Law Office of Christopher German will then begin negotiating with your creditors to lower your payoff amount by 40-60% of the outstanding balance. To help you decide between debt consolidation and debt settlement the or the most beneficial debt relief for you – Contact Denver Debt Settlement Lawyer Christopher German for your FREE CONSULTATION at 720-675-8070.